Sacraments are the principal and fundamental actions whereby Jesus Christ unceasingly bestows his Spirit on the faithful, thus making them the holy people which offers itself, in him and with him, as an oblation acceptable to the Father. 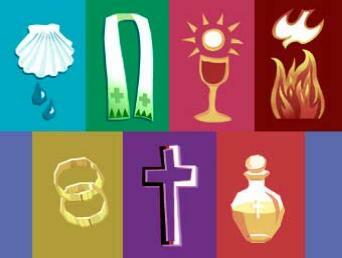 The sacraments are surely to be considered inestimable blessings of the Church. To her, then, belongs the power of administering them; and yet they are always to be referred to Christ, from whom they receive their efficacy. In reality, it is Christ who baptizes. It is not so much a man who celebrates the Eucharist as Christ himself; for he it is who offers himself in the sacrifice of the Mass by the ministry of the priest. The sacramental action is, in the first place, the action of Christ, and the ministers of the Church are as his instruments. The Catholic Sacrament of Reconciliation (also known as Penance, or Confession) has three elements: conversion, confession and celebration. In it we find God’s unconditional forgiveness; as a result we are called to forgive others.